Games are developed through a new alliance between DWA and kids educational game company Jumpstart. Content based on "How to Train Your Dragon" will follow. Alex, Marty, Gloria, Melman and additional zoo animals from Dreamworks Animation’s Madagascar franchise will be featured in online and mobile learning content via a strategic alliance between DWA and kids educational game company Knowledge Adventure, which has been renamed JumpStart. A subsidiary of privately-held Torrance, Calif.-based Knowledge Holdings, Jumpstart also announced that it has closed a new round of financing with Azure Capital Partners, TeleSoft Partners and other investors. Available on Thursday, Madagascar Online offers learning quests and adventures. Also launching on iOS and Android platforms is a learning game titled Madagascar Preschool Surf ’n Slide. JumpStart additionally plans to create a new gaming franchise inspired by DWA’s How to Train Your Dragon. “JumpStart is at the forefront of developing innovative educational games and progressive technology for kids and we are pleased to join forces with them to launch new learning adventures that incorporate characters from DreamWorks Animation franchises,” said Jim Mainard, head of digital strategy for DWA. 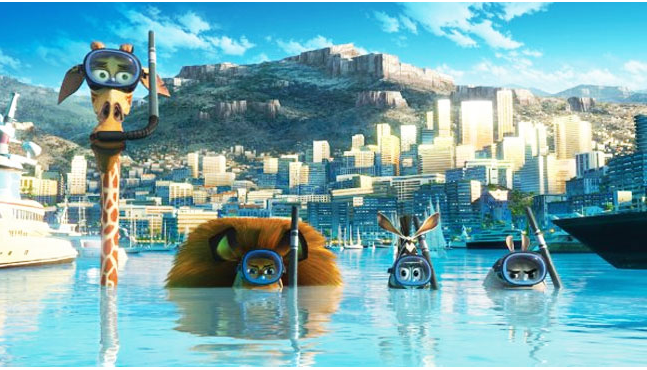 The third feature from the Madagascar franchise, Madagascar 3: Europe's Most Wanted, opened in June. Sequels to Academy-award nominated How to Train Your Dragon are slated to debut in 2014 and 2016. Maria Spies, Director of Educational Technology and eLearning at Navitas, Australia's largest private education provider, will moderate the live webinar. Blended Learning Specialists, TAFE Directors and Instructors are encouraged to attend. During the webinar Farrell will discuss how Box Hill Institute, one of Australia's leading providers of vocational and higher education, is using video to transform a once passive experience into an interactive learning environment by: -- Converting learning material from dull, text-based content into engaging multimedia subject matter. Introducing collaboration into a professor's resource library by pairing video teaching with student activities outside traditional lecture. 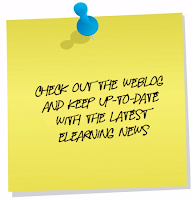 Evaluating the benefits of blended learning technology as a core practice of education. Using video and blended learning technology to support other TAFE initiatives including flipping the classroom, mobile learning and workplace-based learning. Participants are encouraged to follow the webinar and interact over Twitter by tagging their messages with the #videotextbook hashtag. More than one million students in 6,000 classrooms at 500 institutions across 30 countries rely on Echo360 technology to enhance their educational experience. Echo360 digitally records and shares instructional content live and on demand, allowing institutions to reach more students while lowering costs. Through Echo360, students engage with their peers through collaborative tools and review information from instructors online, at their convenience and across various devices. The company has been recognized with a Product Line Strategy of the Year Award from Frost & Sullivan, is CSIA-certified for outstanding customer service, and was named a Visionary Vendor in Educational Technology by IT research firm Basex. Echo360 is backed by Revolution Growth led by Steve Case, Ted Leonsis and Donn Davis. Help bring learning to life during back-to-school time with these learning-rich gems. Each school year brings different experiences for each child. Some kids can't wait to master new concepts. Others have a harder time easing back in. No matter what your kids are like, you'll find media in our Back to School Guide to spark their imagination and cement their knowledge. Search for apps, video games, and websites within the guide — first by age, then by subject and skill. Discover inventive apps for kids struggling with addition, fluency games for advanced readers, websites to help with social skills, and more. Hannah Howard has been in touch to remind us about this recent published article below. Blogging and social media have changed the ways of marketing for companies because of their ease, outreach and the fact they’re budget friendly. 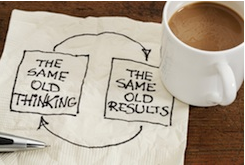 However, with great new marketing ways come new marketing downfalls. Before blogging and social media were created, if a fan, reader, visitor or customer had a negative comment to make they picked up the telephone, emailed or even wrote a letter. And that’s even if they had the time to do so. Now disgruntled fans, readers, visitors and customers can rock your world in a matter of seconds with one simple public post on your page. How you handle and react to that negative feedback on your blog is very important because it is now out there for the public to see and can affect your brand negatively or positively. No one is perfect, and in a world where social media and blogs rule, we are bound to run into a few unhappy people. The only difference in a negative comment or review is that it is public and not private. Handling your negative comment correctly will speak volumes towards your work ethic. When that happens it is important to remember to remain clam, address it quickly, don’t delete it or apologize, take it offline and never take it personally. 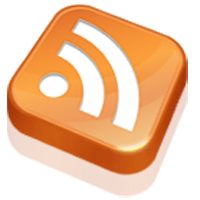 Good luck and happy blogging! Large national survey underway with AT&T and the Learning First Alliance. 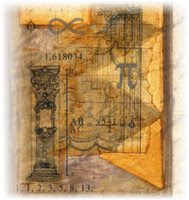 In addition to a public study report, a detailed market research report will also be commercially available. As students head back to school, more of them than ever before will be using mobile devices in the classroom and at home for educational purposes. This fall, leading industry research firm Grunwald Associates LLC will conduct a research study to examine student uses, parent perceptions and family requirements for mobile learning platforms. The study will be conducted with support from AT&T and in collaboration with the Learning First Alliance, a major national education organization. Notably, the study will examine parents’ perceptions of how both K–12 students and preschoolers might be using mobile devices and applications as tools for learning even before they enter formal schooling. This unique aspect of the study is expected to provide key insights on tomorrow’s mobile learners—and complement in-depth analysis of older children and teens also featured in the study. "Mobile technology is changing daily life for children of all ages," says Peter Grunwald, founder and president of Grunwald Associates LLC." And mobile learning platforms have the potential to engage parents as partners in learning, particularly when BYOD initiatives expect parents to share the costs and responsibilities for their children’s use of mobile devices for learning and school-related activities. 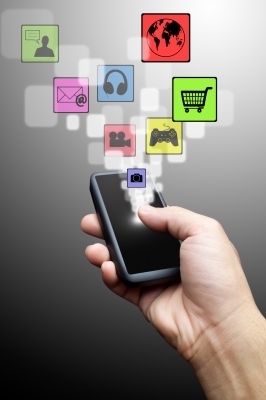 Few rigorous studies have explored the fast-changing environment of mobile platforms from the parents’ perspective." "Grunwald Associates has an unsurpassed reputation for market research into technology trends at ever education level," says Cheryl S. Williams, Executive Director of the Learning First Alliance. "The findings from this study will be invaluable in informing policymakers, school and district leaders, education technology professionals and industry leaders as they move forward with mobile learning plans." A public report of the findings is planned for the first quarter of 2013. In addition, a detailed market research package will be available commercially. Grunwald Associates is a full-service research and consulting firm whose work has informed the debate on a range of national policy issues. Grunwald offers an in-depth understanding of education and innovation, combined with mastery of state-of-the-art research methodologies. The firm specializes in challenging public and proprietary assignments for nonprofit, corporate and government clients. Services include sophisticated quantitative and qualitative research, including pricing simulation and product configuration, social media and community development, messaging and strategic counsel. Grunwald has a reputation for research integrity and creativity and has garnered the trust of key national education associations, policymakers and educators. AT&T Inc. (NYSE:T) is a premier communications holding company and one of the most honored companies in the world. Its subsidiaries and affiliates—AT&T operating companies—are the providers of AT&T services in the United States and around the world. With a powerful array of network resources that includes the nation’s largest 4G network, AT&T is a leading provider of wireless, Wi-Fi, high speed Internet, voice and cloud-based services. A leader in mobile Internet, AT&T also offers the best wireless coverage worldwide of any U.S. carrier, offering the most wireless phones that work in the most countries. It also offers advanced TV services under the AT&T U-verse® and AT&T | DIRECTV brands. The company’s suite of IP-based business communications services is one of the most advanced in the world. The Learning First Alliance (LFA) is a partnership of 16 leading education associations with more than 10 million members dedicated to improving student learning in America’s public schools: American Association of Colleges for Teacher Education, American Association of School Administrators, American Association of School Personnel Administrators, American Federation of Teachers, American School Counselor Association, Association for Middle Level Education (formerly National Middle School Association), International Society for Technology in Education, Learning Forward (formerly National Staff Development Council), National Association of Elementary School Principals, National Association of Secondary School Principals, National Association of State Boards of Education, National Education Association, National School Public Relations Association, National PTA, National School Boards Association and Phi Delta Kappa International. The newest and biggest online craze involves social media, pictures, and pinning. Pinterest is an online vision board that allows users to create their own boards so they are able to pin their favorite finds for inspiration and ideas. Think of Pinterest as the new way of dog-earing your favorite pages from your favorite recipe book, magazine, or catalogue. It’s no surprise that so many businesses have asked the question, “How can I get Pinterest to work for me?” The best way to use Pinterest for your business is to get your audience involved. Please take a moment to see this pertinent video from the Norwegian Centre for ICT in Education. "The purpose of the Norwegian Centre for ICT in Education is to contribute to the realization and the development of ICT policy. It shall further cooperate with relevant public and private institutions. The centre will also participate in international cooperation." Source: elearningeuropa.info and Senter for IKT i utdanningen Channel (YouTube). First Pennsylvania lab of its kind immerses students in computer simulations for what educators hope is more effective learning. In an Elizabeth Forward Middle School classroom, students in an eighth-grade math class spent a recent morning getting into their lesson—literally. Standing in their socks on a 15-by-15 game board that was projected onto a foam mat on the floor, they waved wands to move brightly colored virtual balls around the space. They used trial-and-error to figure out what each colored ball did when it came into contact with another. Did one ball bumping another cause it to multiply? Or did one eliminate another? The students strove to develop a strategy to beat their opponents. What they end up doing, educators say, is honing skills related to reasoning, decision-making, and critical thinking. The teaching tactic is called embodied learning. 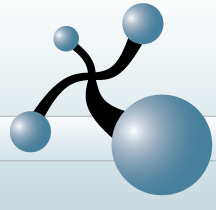 It blends lessons and human-computer interaction. Elizabeth Forward educators are implementing it with Situated Multimedia Arts Learning Lab, known as SMALLab Learning, which uses a ceiling-mounted projector, motion-sensor cameras, wands, and a computer to create scenarios in which students can learn by immersing themselves in the lesson. The district is the first public school system in Pennsylvania to use this educational technology, developed at Arizona State University. "It’s about getting students out of the standard desk and up and moving," said Todd Keruskin, Elizabeth Forward’s assistant superintendent. 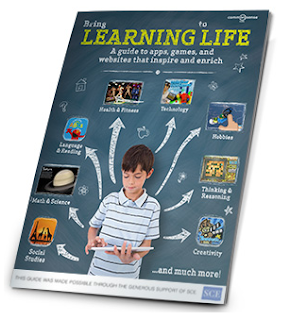 SMALLab Learning was founded in 2010 with the mission of advancing embodied learning in schools and museums. Our flagship product is SMALLab, the Situated Multimedia Arts Learning Lab. SMALLab was created by an interdisciplinary team of researchers and media experts at Arizona State University, led by Dr. David Birchfield. Numerous agencies supported the core research including the National Science Foundation, the MacArthur Foundation, Intel Research, the Kauffman Foundation, and private donors. In 2010, ASU helped to create a new spin-off company, SMALLab Learning, LLC, founded by Drs. David Birchfield and Mina Johnson-Glenberg. Cognitive scientists have discovered compelling evidence that nearly all of our experiences are in some way grounded in the body. This suggests that the embodied experiences can lead to more effective learning - learning that is kinesthetic, collaborative, and multimodal. 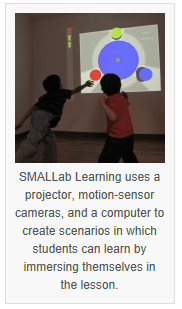 SMALLab Learning is at the forefront of this exciting new field of embodied learning. SMALLab was developed over a period of several years by an interdisciplinary team of dedicated faculty and graduate students at Arizona State University's School of Arts, Media and Engineering. SMALLab is a product of the collaborative vision of these designers, educators, researchers, artists, engineers, computer scientists, psychologists, musicians, and dancers. eSN readers say: Give us more free websites, special-ed coverage. We say: Here you go! ﻿Laura Devaney, Managing Editor reports, "Today's story comes straight from our readers. During an eSchool News survey, we gave you the chance to identify some topics you'd like us to cover. While we plan much more coverage in those areas, we've pulled together some of our past coverage for your convenience." Each year, we survey our readers to find out what ed-tech topics you’d like to learn more about. This year, you’ve told us you’d like more information about Common Core standards and testing, free websites and apps for education, special education and Universal Design for Learning (UDL), and more. 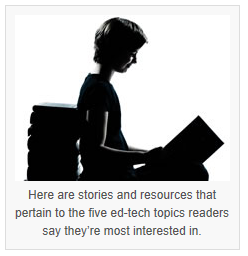 In response to this year’s survey results, we’ve put together this handy guide to stories and resources we’ve published that pertain to the five ed-tech topics you’re most interested in reading about. [WEBINAR] Got MOOC? Register Now!